Day 49 came with a cool north wind 10 to 20’s with gusts to 35. My route took me northeast on 337. Today I encountered some of the toughest hills of the trip so far. 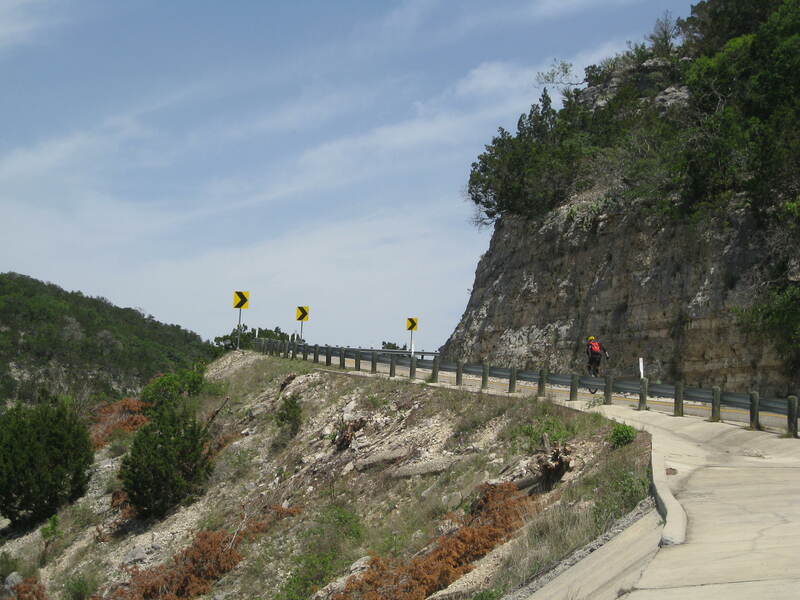 They weren’t so long but a bit steeper than most of the ones in New Mexico. The worst part about them was the wind. The road wound up and down the hills in every direction giving the compass fits. More than once I was blasted so hard I almost stopped dead while trying to climb. I stood on the pedals with all my weight and wished I had eaten a heavy breakfast. 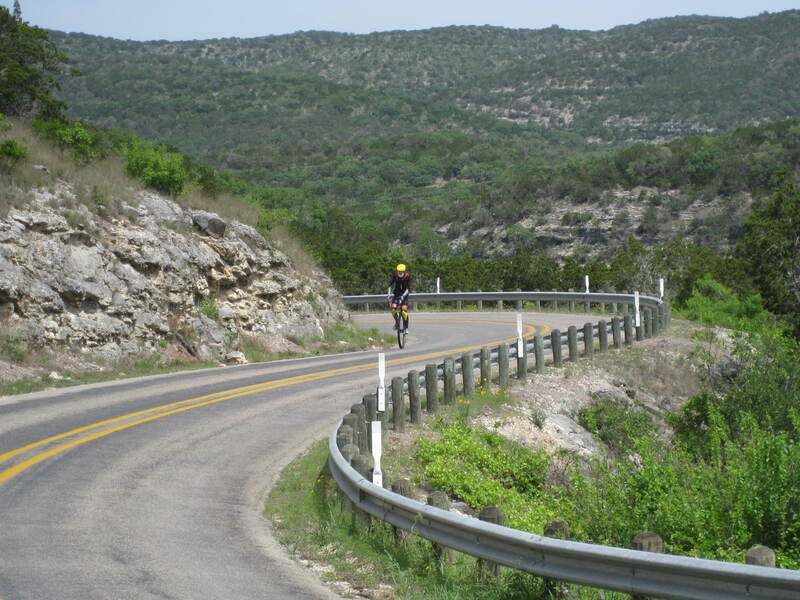 Pulling into Leakey a young couple rode up who are riding the same route but left around March 22nd. We had just come over our first climb of the day and the one rider said he had been run off the road while descending. I’m not sure if it was the same vehicle but I had a white hatchback of some kind come as close as he could to me and I was riding on the shoulder. They said they had some local advise that an alternative route up to route 39 was less hilly. I was temped to follow, but without knowing the source I opted to stay on route. 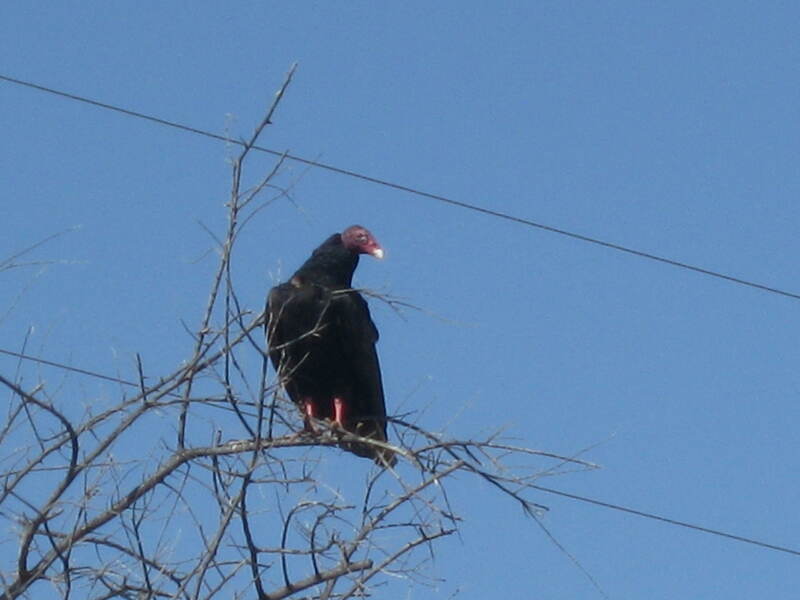 I think you’re ok with the vultures as long as you don’t just lay down in the road. Lay down in the road. When the buzzard gets close wring its neck. I bet they taste just like chicken. those hills are insane! i can’t even imagine what it would be like to ride them. A tiny part of me does think it would have been fun to run along side the rider. but then a small part of me is more insane than those hills. i have always thought it would be fun to have a paint ball gun (or something along those lines) to tag annoying motorists. OK i admit to imagining worse than paint ball guns. why can’t people just be peaceful? I like the paint ball gun idea. 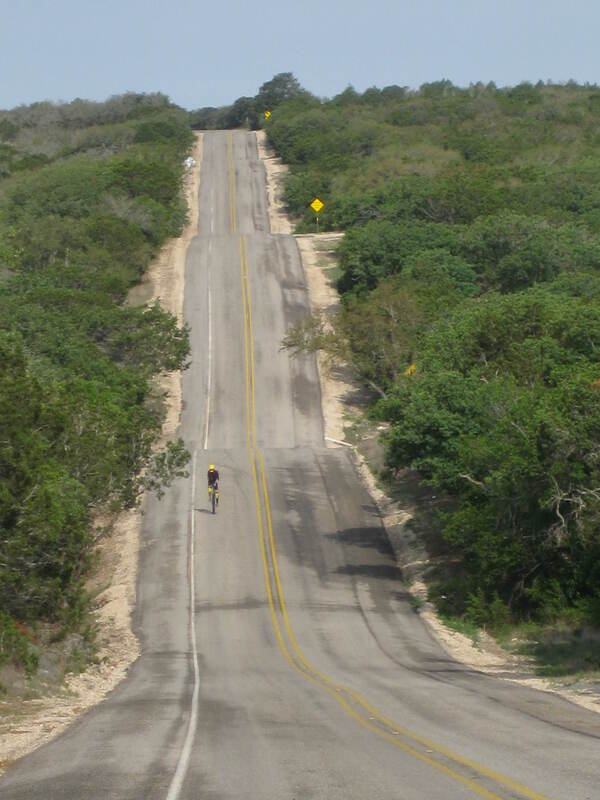 I think you could run up some of these hills faster than I am riding. Those drivers are horrible to do that to u guys.. Maybe they are from South FL bc that’s how a lot of them are here. Being a Native Floridian, I reserve/deserve the right to comment on FL residents <-) Anyways, stay strong and you are doing an amazing job.